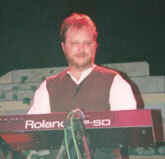 Conrad Askland toured with Freddy Fender as keyboard from 1996-2005. 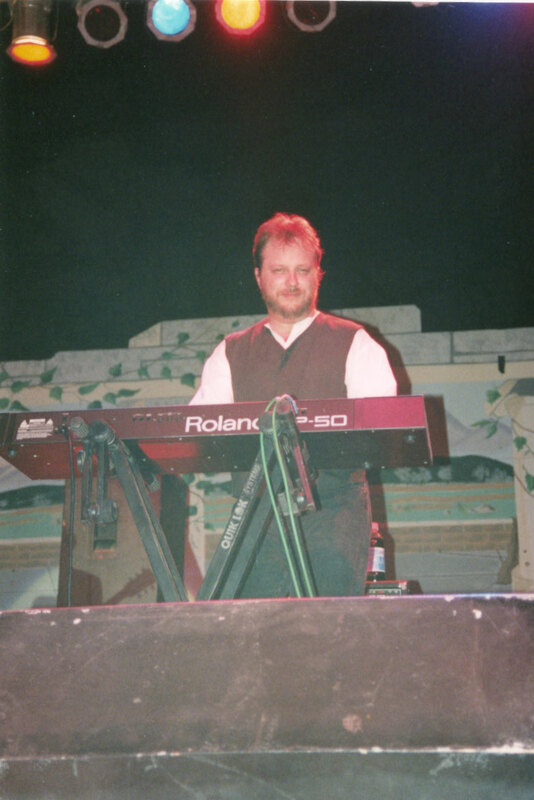 Freddy singing “before the next teardrop” and “wasted days and wasted nights” New Mexico State Fair 2003. Conrad Askland is playing keyboards with Freddy in this video. Not a great video, but just happened to run across it while surfing YouTube. Augie Meyers is also playing accordion with us in this video. 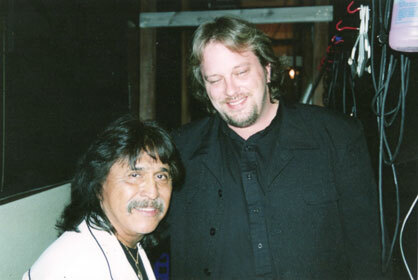 Video when I played with Freddy Fender on ABC at the 2002 ALMA awards (American Latin Music Awards). He was starting to be very ill in 2002 and had a kidney transplant the same year (and a liver transplant in 2004). Freddy passed away on October 14, 2006. Vaya Con Dios Freddy! 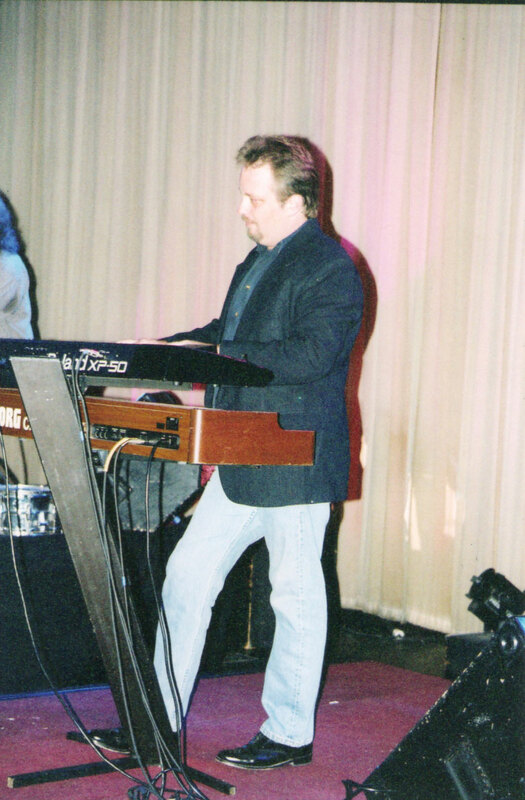 Thanks to Deb for sending this too me – another video from when I played with Freddy Fender (I’m the keyboardist on the right). Before The Next Teardrop Falls is often unwittingly called “Before The LAST Teardrop Falls” and Freddy Fender is often spelled as “Freddie Fender”, as they are in this video title. My best guess is this video is from Laughlin, Nevada sometime between 2003-2004, probably 2004. New video of Freddy Fender posted on YouTube. I think this might have been around 2004 in Laughlin, Nevada. Freddy does band introductions and an intro song. You’ll notice he calls me “El Blanco”, or “The White”. In the video I’m playing synth and Augie Meyers is playing piano. 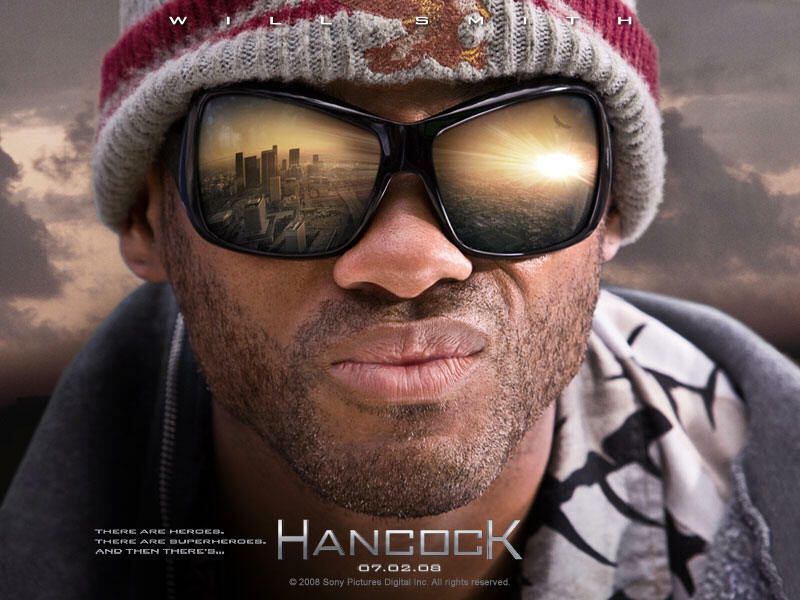 For locals in Macau – it will start playing at the Macau Tower on July 3, 2008. Freddy Fender Song in Movie – Hey! A friend wrote me that they thought one of the songs used in the movie was interesting. I saw the movie and in one of the jail scenes heard Freddy Fender’s “Wasted Days and Wasted Nights”! That was a nice surprise. I think I played that song about a thousand times when I was touring with Freddy. RIP Freddy – we still love you and remember you! Hey, video of me playing at the Grand Ol Opry in Nashville! “Freddy Fender and Conrad in Nashville” – Ok, more like Freddy and a couple seconds of me that nobody knows. This just got posted on YouTube. 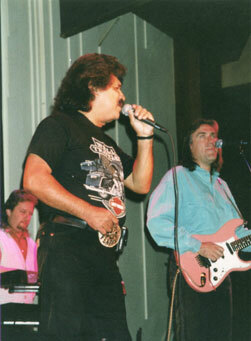 Performance of Freddy Fender at the Grand Ol Opry (I think around 2001 – don’t remember). I DO remember we had to wear suit jackets for the performance and be clean shaven – I look like a dork in the video, oh well. This was Freddy’s last appearance at the Opry, the first appearance in over twenty years. We performed “Wasted Days and Wasted Nights” and “Before the Next Teardrop Falls”. Thanks to Chris Jurado for posting this. This is a little macabre. 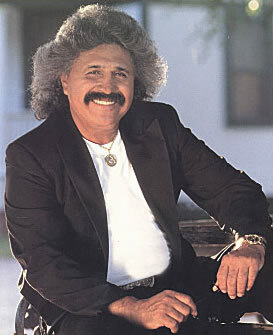 I was contacted about this photo of Freddy Fender as a candidate to use for his grave stone. Cause I, I’ll be the lonely one. Baby, you’re the one I’m thinkin’ of. Cause I, I’ll be the lonely one and baby you’re the one I’m thinkin’ of. 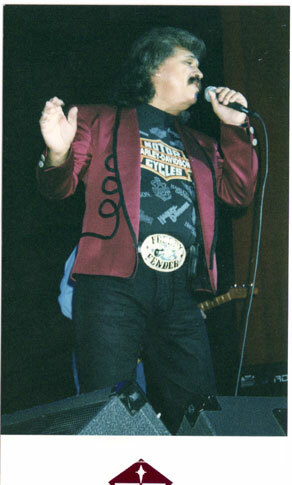 David Peralta, former road manager for Freddy Fender, sent me these photos a while back. 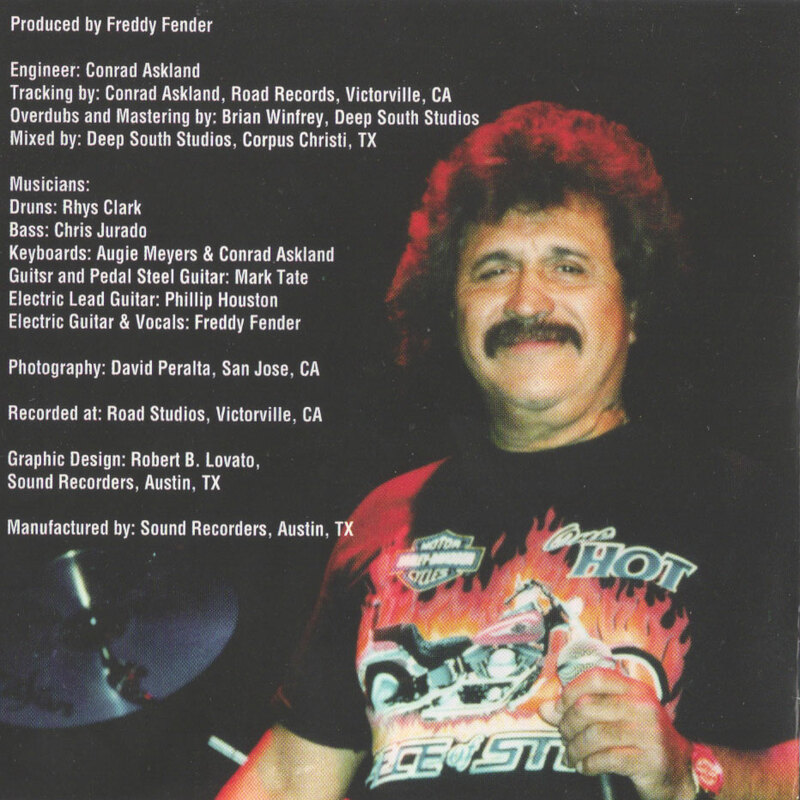 Pictures of Freddy, the Freddy Fender band and yours truly back when I played in his band. 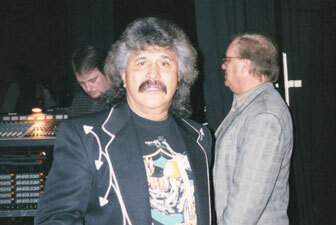 Freddy Fender passed away in 2006 and we all miss him a lot. People ask me how Freddy was to work for and I always have the same response “It was awesome.” Being a musician touring with Freddy Fender was very fun. 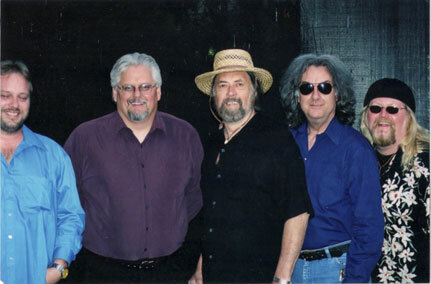 From left: Conrad Askland (keyboards), Vern Monnett (Pedal Steel), Augie Meyers (Piano/Accordion), Rhys Clark (drums) and Mark Tate (guitar). 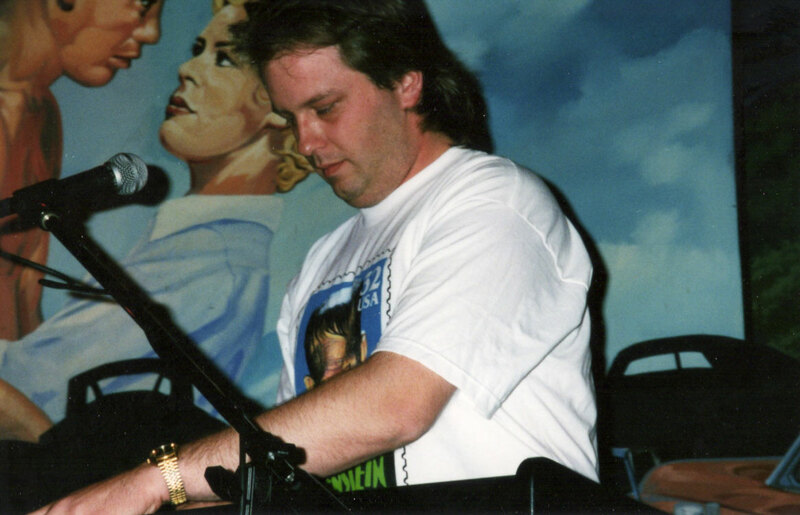 We normally worked as a 7 piece group: Freddy on vocals/guitar, two keyboards, bass, drums, guitar and pedal steel. Photo from 1995 Christmas Card that Freddy Fender sent to his friends. One night before a gig I shaved my goatee/beard. Freddy got a kick out of that and said “Aiy-yai-yai! Gringo – when you shave you look like a boiled egg!”. He’s kind of right! Around 2004 – This page has some of the worst pictures of me in the history of the world. But I’m putting them up anyway because I loved Freddy Fender. I think I’m about to burp or something in this one. Probably too much Menudo. Yeah ok, so I’m porked out in some of the pics. But I have a defense. When you’re on the road, there’s two things you look forward to: finally being able to sleep in your room and THE FREE BUFFET! Maybe that was just me and the bass player. We had great buffets while working with Freddy. Don’t tell me you wouldn’t totally pork out if you could get away with it. We usually flew to all our gigs but we’d still have to hunker down in the vans to drive from the airports to the gigs. Freddy didn’t like stopping for very long so he’d have the driver stop at an AM/PM and tell us to be back in 5 minutes. Mmm….corndog, Funions, soda – ok, made it back in time. Then we’d get to the venue and it was time to hit the buffet. THEN at the gig it was in our rider to have a deli spread backstage. We were big boys. Pound for pound, a very good deal for any booking agent. It was a total blast and we were treated top notch. Ok, back to the Jenny Craig…. I ran across this picture today from a company advertising “Freddy Fender Ringtones”. I didn’t know whether to laugh or be offended. Here’s a picture of Freddy so you can decide for yourself. Any comments? 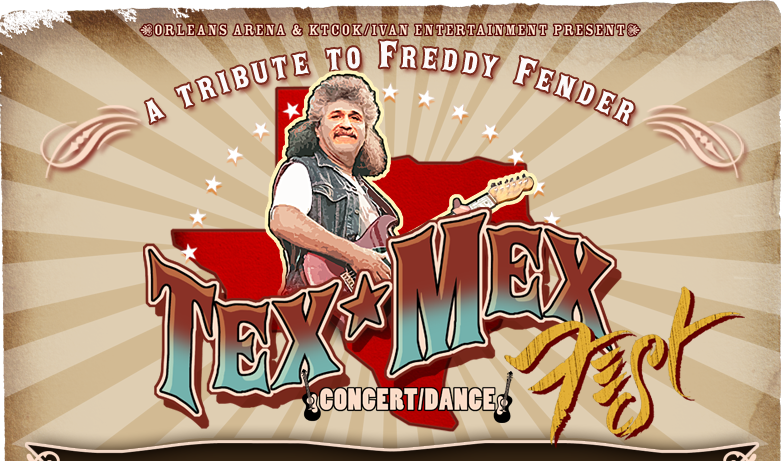 I’ll just say I don’t ever remember Freddy carrying a boombox on his shoulder…..
Ivan Entertainment and KTCOK Enterprises are pleased to present a show-stopping Las Vegas extravaganza in honor of the late Tex-Mex musical legend and country-rock trailblazer Freddy Fender. Among the slate of All-Star celebrity artists scheduled to appear are Grammy Award-winners such as Little Joe y La Familia, Ramon Ayala y Los Bravos del Norte, country crooner Johnny Rodriguez, Roberto Pulido, Johnny Hernandez, California Chicano sound originators Tierra, Charlie Rich Jr. and Augie Meyers, a founding member of the Texas Tornados. Actor Jesse Borrego, former star of the television series “Fame” and films such as Con-Air, Bound by Honor and Lone Star will join the all-star musical line-up as master of ceremonies. A successful concert promoter and son of legendary Tejano artist Little Joe HernÃ¡ndez, Ivan HernÃ¡ndez is aiding by fueling a modern-day renaissance of the Tex-Mex sound while dedicating himself to the preservation of a powerful legacy and native musical tradition. 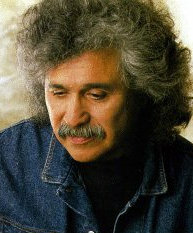 For this historic tribute, HernÃ¡ndez has recruited an impressive line-up of musical giants who will appear together on stage for the first time ever at the Orleans Arena on Saturday, June 16th as part of a historic dance and concert being held to remember fellow Texan Freddy Fender, a rocker who achieved crossover star status with a string of No. 1 hits on Billboard’s Country and Pop charts, while recording widely popular Spanish-language versions of hits by Elvis Presley and Harry Belafonte. Born Baldemar Huerta in San Benito, Texas, he showed musical promise at an early age and constructed a homemade guitar from screen door wire and a used sardine can while still a child. By age 10, he had already made his first local radio appearance. Playing bars and honky-tonks, he was often referred to as “El Bebop Kid.” Taking a cue from his favorite guitar, he changed his name to Freddy Fender in 1959 before recording “Wasted Days and Wasted Nights,” a song which did for a swelling tide of English language listeners what a Spanish take on Presley’s “Don’t be Cruel” and Belafonte’s “Jamaica Farewell” had done three years earlier for Mexican and Latin American audiences, turning Fender into a real-life star. “He was one of my best friends, but he was also one of my heroes,” says Little Joe HernÃ¡ndez, a Texas born-and-bred musician who is often referred to as the “King of the Brown Sound.” HernÃ¡ndez is proud to have known Fender and laments the loss of a truly great talent. “We lost a national treasure in Freddy. I want to make sure his legacy lives on. He was a fighter to the end and proud of his Chicano heritage. We want to celebrate his life and his music,” adds HernÃ¡ndez. Assembled as much for their personal relationships with Freddy Fender as for their honest admiration of his unprecedented legacy, all the artists slated to appear at the tribute were his true brothers in music, artists who were very close, life-long friends with a man they will gather to remember on June 16th. All of them superstars in their own right, these are musicians at their peek who were Freddy Fender’s collaborators and contemporaries. Together, they created in a bold new world which left room for and indeed, even encouraged Chicano redneck fusions, swamp rocker blues, big band, horn-laced Tejano, electrified rock & roll and straight-up Conjunto NorteÃ±o, and combinations of all on a single record. This Texas size showcase brings everything expected of an extraordinary Tex-Mex Fest: incredible Tex-Mex/Tejano/Chicano music and a place to dance the night away. Part of the proceeds from the spectacular showcase will benefit the Freddy Fender Scholarship Fund. The Orleans Hotel & Casino provides the perfect place to settle down early in anticipation of what promises to be the concert of the year. Kicking off with a meet and greet on Friday for press and fans, the concert will highlight the Father’s Day weekend with stories, music and nostalgic images and exclusive video, to compliment the memories of Freddy Fender. The experience is guaranteed to last a lifetime. The Orleans Arena is located at 4500 W. Tropicana Ave., Las Vegas, Nevada 89103. Visit www.texmexfest.com for more information. The first birthday without him. Freddy Fender would have been 70 years old today. We miss you boss. 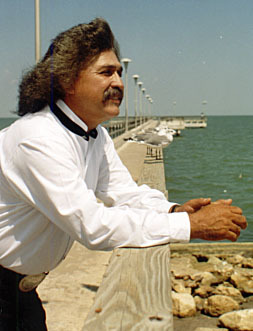 Corpus Christ, TX – The Corpus Christi Caller Times has named Freddy Fender their Newsmaker of the Year. Denise Malan, one of the writers, called me a couple weeks ago for the article. Some of article focuses on the spiritual side of Freddy and includes some of my comments on that. You can read the Freddy Fender Caller Times article here. As far as I know I’m the only former band member currently working on sacred music on a regular basis. It was a little ironic when the writer asked me if Freddy had any impact on my spiritual life, and I replied that I didn’t think so directly. Then she asked me what I was doing now, and I said music for theater and church. Made me stop and think for a bit about that. 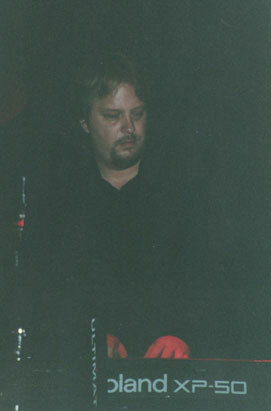 I stopped playing for Freddy Fender in March 2005. 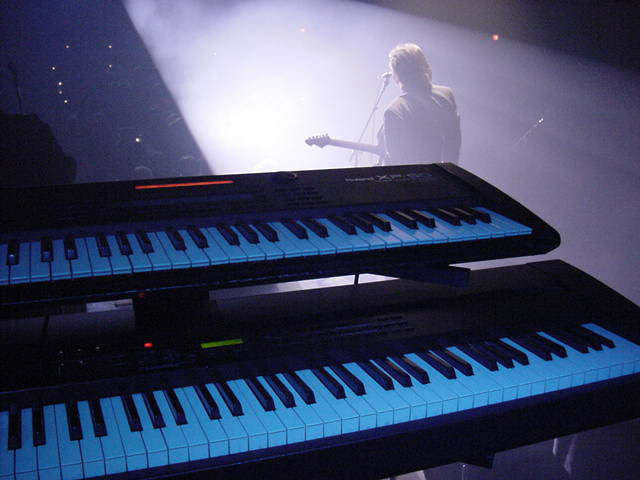 Askland, the keyboardist, remembers that while touring Fender kept in touch with friends from Alcoholics Anonymous. One Christmas a few years ago, Fender even brought the band to Corpus Christi to play for his AA group. 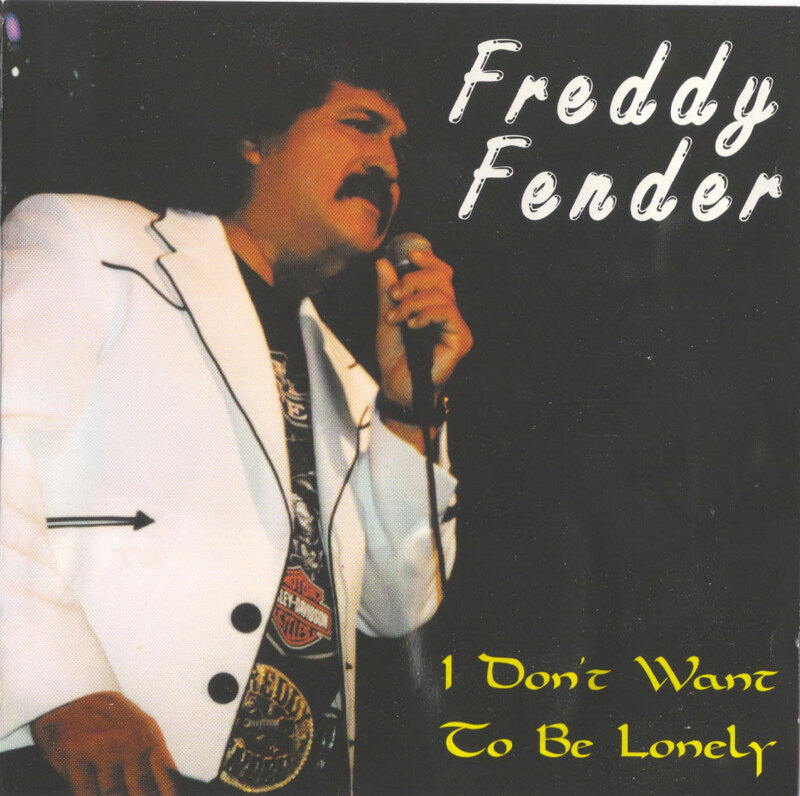 I really appreciate having found your website because of the wonderful inside look at Freddy Fender. I have been just short of obsessed with finding information about Freddy since his death. Iâ€™m not sure why except for perhaps some sort of spiritual connection on all levels. Iâ€™ve always liked his music but hadnâ€™t listened to it recently. I didnâ€™t recall what brought me back to it until I read on your site that it was included on the soundtrack of â€œ3 Burials â€¦â€ which I saw and enjoyed immensely. Probably that was what got me started seeking out and downloading all of his stuff. Then I read a little about his being so ill and finally his sad death. Since that I have been combing the internet, buying DVDâ€™s, haunting YouTube, wanting to know everything I can about him. Perhaps the whole spiritual thing is wrapped up in his looking so much like my first love, (who I met around the same age he and Vangie met and fell in love). I didnâ€™t spend my life with this man but did reconnect with him briefly in our late 50â€™s and he was very much like FF in appearance and personality at that age as well. He had also been through the whole prison, drugs, & drinking experience that Freddy had but also retained a great basic wisdom, self awareness and childish joy that I observe in Freddy. They both had that smile and sparkle that can only come from within. Also, in my lifetime I was a caregiver for many years to my husband who developed Alzheimerâ€™s Disease, so I relate to what Vangie must have experienced in the many years of illness through which she cared for and supported Freddy. And finally, I relate to you, being super Scandinavian in heritage and skin tone but I grew up in National City, California where I was the minority and all of my friends were Mexican. I adored their families and was often referred to by more than one dad or brother as â€œwedaâ€ or â€œblancaâ€ and one particularly mean big brother as â€œgorditaâ€! Even before I found your website, I saw the Laughlin casino DVD from 2003 where you are on keyboard and he calls you â€œblancoâ€, â€œblancitoâ€ and â€œWedoâ€. I loved it and recalled many warm feelings with my Mexican friends. One funny note. In High School, my parents decided perhaps I should find friends who were not Mexican so they moved to another slightly more upscale area of San Diego in hopes Iâ€™d find more of â€œmy ownâ€ type. I did. I found all 5 Mexican families in the area and hung out with them! Anyway everything about Freddy Fender, his surroundings, his family, his music strikes a chord with me and I just wanted to mention that I found your information to be the most personal and enlightening and Iâ€™m very appreciative of it. You write so beautifully too. Why not write a book or a movie about his life? Please continue to share stories about him. Honey Will You Love Me is a song I wrote and Freddy Fender plays on the guitar solo. More Song Info. This song makes me happy when I listen to it. We were playing with Freddy for a week run at the Gold Coast casino in Las Vegas. I kept a very intense schedule at the time so I brough my recording gear with me so I could do tracking in the hotel room during the week. We would only play a couple hours a night, and I would always get ancy if I didn’t feel like I was getting more done. I took a break from tracking and went down to the coffee shop for lunch and Freddy was there. He invited the guitar player and myself to have lunch with him. (Which always meant that he was buying, so Yeah!). After lunch I asked him if he would lay down a guitar solo and he said sure, let’s go. Freddy met me ten minutes later down in the green room. We had a little “green room” to greet guests before shows and pig out on the backstage snacks, and I had brought my gear down there because tracking in the hotel room was a bit noisy. Here’s the part that makes me happy. He listened to the track once, then we ran it and he played his solo. I normally get about five or six takes of solos and thought he could do a bit better, so I rolled it back for another take. I tell him we’re going to do another take and he says “Why? That’s what I played!”. He didn’t understand doing another take, because he had already played what he wanted to play. Of course I didn’t correct him, after all, he’s Freddy Fender. The happy part: The solo isn’t perfect, but it’s Freddy – and I love that. I wouldn’t want it any other way. I have lots of training and I’ve read a lot of books – but Freddy just had a natural gift for music. He was an innocent in a profession that’s loaded with sharks. So listen to the song and when Freddy’s guitar solo comes up, picture him in that little back room at the Gold Coast Casino in Las Vegas doing his one take. The perfect take. Freddy’s solo is the first half of the guitar solo. Long live Freddy Fender’s music. How Famous Was Freddy Fender? Photo I took from the stage while playing with Freddy Fender. Sometimes people ask me how famous Freddy was. My mind flashes back to some of the shows – hundreds, sometimes thousands, of people all worked up to a frenzy. All ages in one room, spellbound by Freddy. Makes me smile. SAN BENITO â€” How famous was Freddy Fender? The varied collection of awards and accolades that he amassed in his lifetime and the popularity of his music worldwide are evidence that Fender was more than a regional source of pride. While not necessarily the standard barometer of fame, Fender was deemed prominent enough to be spoofed on “Saturday Night Live,” a television show that normally caters to young viewers. Horatio Sanz, a regular player on “SNL,” did his impression of Fender in the “Derek Jeterâ€™s Taco Hole” skit on Dec. 1, 2001. Fender actually made several television appearances, mostly as himself, on “The Tonight Show,” “American Bandstand,” the “Dukes of Hazzard,” “Hee Haw” and “Austin City Limits,” among others. More recently, Fenderâ€™s “Before the Next Teardrop Falls” was included in the soundtrack for “The Three Burials of Melquiades Estrada,” a film by Tommy Lee Jones in which the main characters form a friendship, in part, due to their mutual appreciation for Fenderâ€™s song. 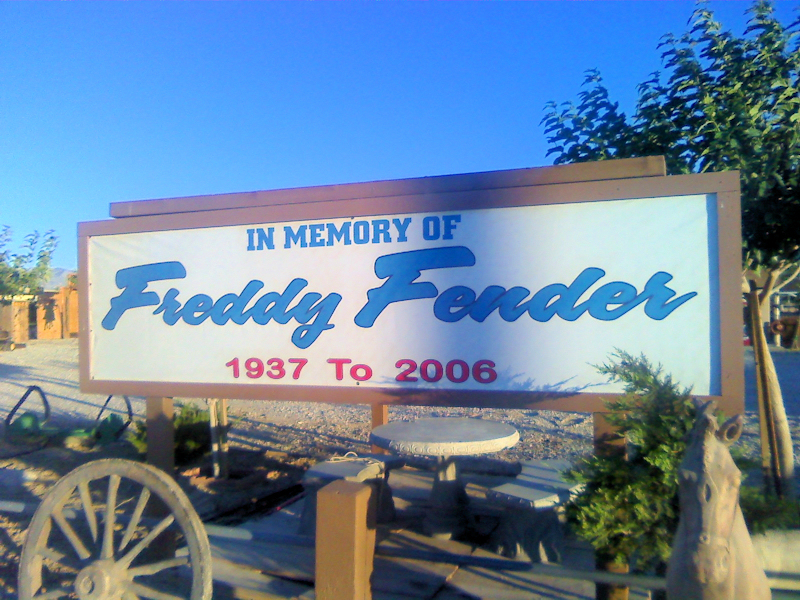 From 1975 to 2002, Fender was nominated for five Grammy Awards in six different categories, winning once for “Best Latin Pop” (“La Musica de Baldemar Huerta” in 2002) and twice for “Best Mexican/American Performance,” (for “Los Super Seven” in 1999 and “Texas Tornados” in 1990). In 2005, music distributor Direct Source replaced Thomas Jeffersonâ€™s face on Mount Rushmore with Fenderâ€™s on its “Rancho Grande” compilation of the singerâ€™s music. Fender was widely lauded abroad as well as in his homeland in more serious ways. According to Fenderâ€™s Web site, he was inducted into the European Walk of Fame in 1993. In 1999 he got a star on the Hollywood Walk of Fame and was inducted into the Country Music Hall of Fame in Nashville. He was also inducted into various music halls of fame in Louisiana, Texas and others around the globe. According to his Web site, Fender performed at inaugural balls for Presidents George H.W. Bush and Bill Clinton and Texas Gov. Ann Richards. Among the “career performances” also listed on Fenderâ€™s site are playing for President Jimmy Carter at the White House and performances at the Montreaux Jazz Festival in Switzerland, at Wrigley Field during Chicago Cubs games in 1981 and 1986, at Carnegie Hall and at the Macyâ€™s Thanksgiving Day Parade in 1975. The Internet has proved to be a significant role player in keeping Fenderâ€™s legacy alive. 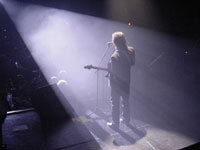 Most of Fenders albums are widely available online, with sale and auction listings for new and used copies of his compact discs posted on such Web sites as E-bay.com, Amazon.com, Overstock.com and Wal-Mart.com. In some cases, individual songs or entire albums can be downloaded directly onto personal computers and MP3 players. Several of Fenderâ€™s songs can even be used as ring tones for mobile phones. Online purveyors of Fenderâ€™s songs hawk them in English and Spanish as well as in German, Dutch and Chinese, among other languages. His fans were as varied as his last concert appearances, which included shows in Wisconsin, Washington, New Mexico, Oklahoma, California, Arizona and Nevada, according to his online calendar. Fender resided in Corpus Christi, but he spent his last days as a musician on the road â€” mainly outside Texas. His last scheduled performances were listed as a private party in Houston on Dec. 3 and a concert at Stevenâ€™s Steakhouse in Commerce on Dec. 31 of last year. But his old bandmates Augie Myers and Charlie Rich, Jr. had to substitute. The failure of Fenderâ€™s Web site administrator to update the calendar section prompted numerous messages from visitors for more information on Fenderâ€™s performances and prognosis. Many of his fans incorporated his lyrics into their messages to the singer. One such entry was left by Judy Damato of Branford, Conn., who recently wondered publicly about Fenderâ€™s health in a message on the singerâ€™s online guestbook. “Please, whoever updates this site, is Freddy alright? I see no bookings on his calendar,” she wrote on Feb. 20. “Is he back in the hospital? Please at least let his fans know that he is OK. No one could ever take his place. “I know there’s a God, and I ain’t him”. RIP Freddy. 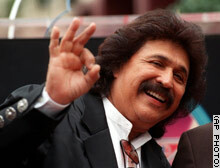 Freddy Fender has “incurable” cancer. This is pretty shocking. I learned about this news, ironically, at my guitar forum Fender-Talk.com . We used to joke sometimes that the forum wasn’t really about Fender guitars, but a Freddy Fender fan club forum. Some of the members there have even gone to Freddy Fender shows with me as we travelled across the US. 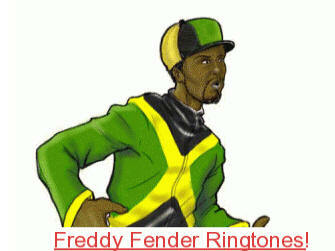 I toured with Freddy from 1996 to March of 2005 – 9 years. I noticed in the article that Vangie (his wife) did not ask doctors how long Freddy has to live. I thought that was very classy, and typical of Vangie – who is the ultimate in class. When I stopped playing with Freddy I figured someday I would see some news on CNN that things had ended, just didn’t know it would be this soon. The #1 question I get from people about Freddy is “what’s he REALLY like?” – And with that question starts the magic of Freddy Fender. I got to see Freddy for nine years backstage, at each town’s fanciest restaurant, in little dive greasy spoons as we made our way from gig to gig on an endless search for the world’s best Menudo. The answer to the question is: Freddy was really like how people see him onstage. That’s what makes him a star. He is honest and open. Many of the musicians in his group far surpassed his music knowledge 100x over. But he was the star. He knows how to relate to an audience and how to create the magic in a song. That was the biggest lesson I learned from Freddy, it’s not what you know – it’s what you do with it. And with every song he gave it all he had – every time. One day we were having lunch just the two of us, don’t remember where it was – but I remember he was eating Menudo (which is always a safe bet with Freddy!). I asked him about his battle with alcohol, about becoming sober and clean through AA – and what he had learned. He quickly got VERY serious – leaned in intently and said “I learned two things. I learned there IS a God, and I ain’t him.” Then he started laughing uncontrollable in his chortle giggle, another Freddy trademark. I think of that a lot. There IS a God, and I ain’t him. Simple words to live by. Freddy was very simple, in some ways almost naive like a child. I think that’s part of the reason so many millions of people love him. I also remember doing a gig with Freddy in Northern Minnesota. We were chuckling because we knew there would be no one there. Who’s heard of Freddy in Northern Minnesota. To our surprise there was about 5,000 people – all standing outside in the cold for the concert. Another learning experience for us, and another lesson in learning why Freddy is truly the “King of Tex Mex”. Freddy would call me “El Blanco” – I have very white skin. And it was always a little comical that I was playing with a Hispanic Grammy winner – because I’m about as white as they come: Full blooded Norwegian Lutheran from Seattle. He was usually fair with me, and the few times he wasn’t – I understand his point of view and would have done the same if I had been in his shoes. A band on the road becomes a family with seven wives, and there would be spats – but I know the entire band was proud in their heart’s that we were playing with the real deal, the original. You can find all the bio info on Freddy through Google – how he started in 1959, was the first Hispanic crossover artist, first artist on Hispanic, Country and Pop charts at the same time. Also look up Baldemar Huerta, his real name. Story goes they were trying to think of a stage name for him – in typical simple Freddy fashion he just looked at his guitar neck and said “Fender” – then thought Freddy went well with that. Don’t know if the story’s really true like that – but I always liked the story so never asked. It’s a keeper. Every once in a while at a Freddy gig someone would come up who thought it was Freddy who built the Fender guitar. (Wrong Fender – it was Leo Fender). One show in particular there was someone who had driven hundreds of miles and absolutely would not believe me that Freddy did not invent the Fender guitar. They walked away very sad when they realized the truth. So in the future I never corrected people when they said that – thought I’d let them keep that story – just like I want to keep the story around Freddy’s name. People have an image of road musicians that’s not entirely accurate – so I’d like to set the record straight. Ok, we party a bit here and there – but usually we would finish a gig at 11:30pm – then be rushed to the hotel room – have to mellow out for some sleep so we could get up at 5am to catch the next flight. Truth is, most of the time we were just trying to catch up on sleep – or maybe that was just me. Amazingly, Freddy was ALWAYS up and alert – the rest of us would be snoozing and he would be talking away – didn’t matter if it was 4am. I was always a little bit jealous that he had partied so much in his life – but had so much stamina. He is truly a “road dog”. I had always wanted to arrange a CD for him with a real orchestra. Take his classics and really do them classy. He did something like that with the CD he won a Grammy for in 2002 – all classic arrangements with hand percussion and nylon string guitars. So now that I’m conducting so many different orchestras, I’ll pretend from time to time that Freddy is onstage singing. I remember the one time Freddy got very mad at me. We were playing in Stateline Nevada (Think it’s called Jean, NV now) and we were practicing with him the song Margaritaville. In the verses he would always drop a couple beats. So in all my musical wisdom I thought he would really appreciate me pointing this out to him, and I was so surprised no one in the band was saying anything. As I started to speak up I could see two band members behind Freddy giving me the “slit throat” signs to shut up. Then I found out why. Freddy went ballistic. He said “I’ve been doing music since 1959 and you’re going to tell me how to do it? I am Freddy Fender, the way I do it is the right way.” And he WAS right. Part of Freddy’s trademark sound is his quirky timing and phrasing. That was a big lesson for me too. There is no “right” music, there’s just music the way you want it to sound. Needless to say I never corrected him again. I was always the youngest member in Freddy’s band. Started with him just after my 30th birthday, and I just turned 40 a couple months ago. It was a real trip to be welcomed into Hispanic circles when I played with him, was not something I was used to. Felt like a big family to me, something I’ve only known since then in church settings. I’m sure each of the old Freddy Fender band members will be dealing with this in their own way. PT Houston, Vern Monnett, Rhys Clark, Augie Meyers, Chris Jurado and Charlie Rich Jr. Thanks Freddy. I know there’s a God. And I know I ain’t him.